As you know very well, today crises of searching job is going on with a substantial rate. India is one of the most populated countries with lots of opportunities in terms of job, only way of searching is more important. Today digital world is running like anything. Each and every person has Mobiles, PCs, and Tablets. However getting job in your Dream Company and perfect post is getting tougher these days. 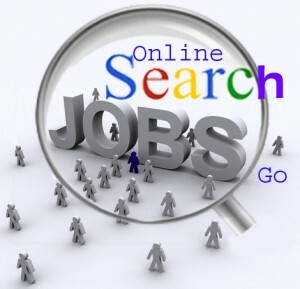 Anyways not to get worried here Top 8 Best Popular Job Portals You Must Check Out that will help you to search better job options in India. Naukri: Naukri.Com is one large portal for searching job. Most of the companies prefer this portal as way to get the good employee. As going on competing with other job portals, Naukri.com has extended its hand in Marriage and real estate also. This site first came in 1997 in market to extend help to job seekers. Monster: Monster.com is also well versed site which provides lots of opportunities to people. This website helps you to scan your skills and according to it displays job availability. You can have many options in this site to get linked with employers. TimesJobs: This site is joint venture of Times group, this job site is fast competing with other job portal to provide best service to people. Using this site a person can show his/her work portfolio and samples for communicating with employers. NaukriHub: This site has come up in the north Indian states with lots of popularity. Specific jobs from the company provides requirement in advertisement according to which employees can checkout and apply for job. Many job seekers have registered and have got lots of opportunities from this site. CarrierJet: This site is like made easy solution type. You can search in most easy manner. Not getting into complicated way of searching. This site provide so many options, just you have to select column and your required job in the field will be reflected on screen and by clicking you can send your documents to company. CareerAge: This site came into portal on 1999 with lots of detailed information provider. Here in this site both fresher and experienced can register and get into searching job with lots of opportunities in market. But today this site is running with lot of income and providing good opportunities to people. ClickJobs: In this site, first you have to fill all registration details and then you can apply for job which you need it. Best thing about this site is you can disclose the necessary information you want to show to employer rather than showing all information. FreshersWorld: This came with lots of opportunities to freshers. Since freshers find lot of difficulty in finding jobs. This site is made only for them with lots of opportunities in various fields with lots of pay package. Even this site offers opportunities to experienced people also with same importance. Like our Facebook Page for more latest info.